Bhakti Sakpal, my VA from Tasks EveryDay, welcomed me with an email, photo attached: she’s all glossy brown hair, liquid eyes, grinning up at me from my screen, waiting to be piled with work. The first job is obvious: Hi Bhakti, I email, could you research this article for me? Then I call my friend Joy for lunch. The next day I wake up to an email from Bhakti: “Dear Katie, I have done the research about outsourcing. As per your instruction.” Attached is a six-page dossier. 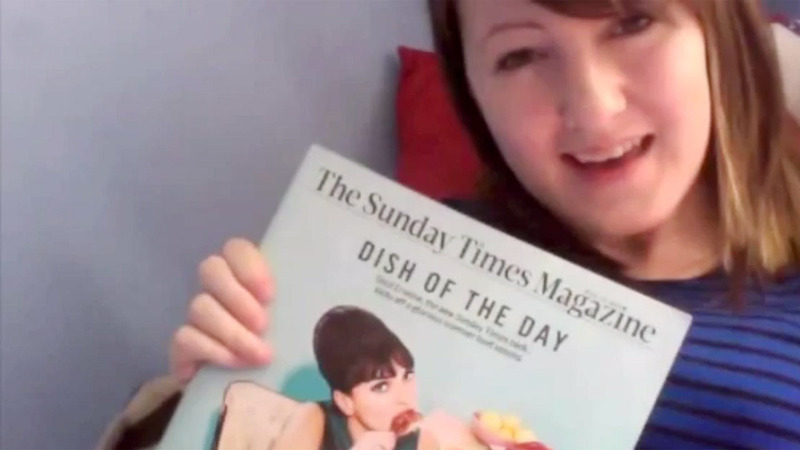 It contains statistics, diagrams and a pie chart. There is a historical analysis of how outsourcing has grown from a time-sharing, data-processing model in the 1960s to the international cost-cutting business strategy it is today. Charts show the UK outsourced a contract value of £3.1bn in 2012 (a 20% rise on 2011). A spreadsheet depicting the countrywide workforce distribution of outsourcing reveals that India dominates the market with 1,430,000,000 workers in the field. The pie chart’s coloured slices illustrate the division of outsourcing tasks: with IT dominating at 28%, closely followed by human resources (16%) and sales and marketing (15%). Hi Katie. I’ve written you the perfect headline! We’ve all, at one time or another, called the customer-service department of a utility company and had a chat with a friendly young man or woman with a distinctly Indian accent. But outsourcing is no longer the exclusive domain of big multimillion dollar companies. Nowadays anyone with an Internet connection can offload the most mundane of tasks halfway around the world, thanks to companies such as Brickwork India (b2kcorp.com) and Tasks Everyday (taskseveryday.com). Last April a couple of UVic students took the outsourcing model to the extreme, launching Indochino, a Web-based business that provides custom-tailored suits for around $300. Customers send in their measurements, and within two weeks the garment is delivered to their door – direct from a tailor in Shanghai. The duo’s business model was enough to catch the eye of AbeBooks Inc. execs Hannes Blum, CEO; Boris Wertz, COO; and John Chase, CFO. They, along with Eric Jordan, founder of PureEdge Solutions, invested in Vucko’s company to the tune of $40,000. When you hear the term outsourcing, you probably think of Fortune 500 companies hiring firms in India or Russia to develop software or field customer support calls. That’s one vision of outsourcing, but another is emerging, and it is largely about individuals, freelancers and small businesses outsourcing tasks such as wedding Web sites, business card logos and the tutoring of their kids. Outsourcing is no longer just for the corporate world. Whatever you don’t have time to do, you can probably find a virtual somebody in a place far, far away to do it for you. And because you may be hiring someone who lives in a country (or part of the United States) where the cost of living is a lot lower than what it is where you live, you may get a big break on the price. As for service and quality, that’s still an open question in what is a nascent niche of the outsourcing realm. — Entering data into Quick Books, setting up appointments and following up sales leads. potential donors for a silent auction. — Researching top-selling items on eBay. The marketing of “virtual assistant” or “concierge” Web sites captures the blurring of personal and work lives, especially for freelancers and small-business owners. These companies assume you’re overstretched and overburdened, both on and off the job, and you can use help on both fronts. Your time is valuable, they say, and you need someone to take a host of time-consuming, tedious tasks off of your hands, whether that means sending a gift to your grandmother or updating your contacts data base. The possibilities are seemingly endless. Tasks Everyday wants to handle transcription services, market research, Web site maintenance, resume updating and birthday reminders. “At Tasks EveryDay, you can allocate virtually any task which does not require physical presence … and consider it done!” the site claims. And what will be left for you to do? Pretty much nothing. If that’s your goal, then you may want to read Timothy Ferriss’ “The 4-Hour Workweek,” a book that’s all about outsourcing your life and having a blast with all your free time. According to Wikipedia, a concierge (kôN-syârzh) is an employee who lives on the premises of apartment buildings and serves as a general property caretaker. A clutch of Indian companies, however, is now giving a new meaning to the word. Mumbai–based Tasks EveryDay, part of Alfa Overseas Group, has a workforce of 250 people looking after more than 1,000 clients from the US, UK and Australia. Steven Ayers is founder and President of investment management company Steven Ayers & Company. His Austin-based company invests in the local stocks of over 40 markets. Predictably, life is hectic for the 39-year-old CFA, which is probably why his remote assistant Smriti Roy from Brickwork India, based in Bangalore, clocks in around 40 hours per week. Apart from collating information on various markets, investment research, helping out with the investor reports and stock-specific data, his MBA-grad assistant also mails him daily performance of all the stocks in his portfolio before he wakes up at 4 a.m. local time. “She costs me a quarter of what an actual MBA would and I can call her up anytime in day or night and she doesn’t have a problem,” he says. Patricia Kriz is 27, single and works for a real estate investment fund in New York City. A self-confessed ‘big foodie’, Kriz is also in the process of setting up her own company— Patty’s Pantry NYC, selling premium desserts and baked products to stores in NYC and on the internet. In August last, she came across a website—Ask Sunday, offering concierge services. On impulse, she sent in a request for a rental car on a busy weekend and was pleasantly surprised at the service. Not only did they find her a car within the specified time, it was also $25 (Rs 1,000) cheaper than what she could have found herself. Kriz now gets the Hyderabad-based Ask Sunday agents to gather market data, do research and documentation work for her. Among the host of requests she sends to Ask Sunday are restaurant reservations, flight tickets, and appointments, ordering flowers, wake – up calls, and finding out hotel rates. In one instance, she even found the right jeweler to fix a sentimental piece for her. “I now regularly make a list of things that I get done by Sunday,” she says. If that sounds like a dream, it probably is. For Ayers, Kriz and thousands like them, outsourcing their work—both personal and professional— to remote assistants based out of India is the norm. Knowledgeable, cost-effective and more motivated than the local staff, these assistants are important pointspersons in making life easier for their clients. Deadlines are piling up. One editor wants a story this afternoon; the other wants it yesterday. The dog is giving me her best guilt-inducing stare; the garburator is threatening to flood the kitchen; guests are arriving and I’m wondering just how long it’ll be before the kids get scurvy if I don’t get to the produce store anytime soon. Time to take a leaf out of the business playbook: Outsource. “Your call is important to us and will be answered shortly by our senior management team,” says the soothing voice when I ring up TasksEveryday.com. Seconds later sales director Suvidh Marwaha is on the line. “I can help you with that, no problems,” he says as I cite my fast-lengthening to-do list. Remarkably helpful, particularly considering it’s almost 3 a.m. in Mumbai, India where he is based. Plumbing: No worries. The dog: They can arrange the walks. Dinner guests: What time do we need reservations? Or perhaps they’ll arrange for a personal chef to cook. Groceries: My personal assistant can arrange for the greens to get delivered. Marwaha even offers help with research and writing. “We have some writers available who have a journalism background; they doing ghost writing — you never know where the person sitting next to your gets their articles from,” he says. How about just taking care of those pesky tasks I’m not getting around to? With the Internet erasing geographical boundaries, companies like TasksEveryday.com are competing with local companies in the fast-growing consumer outsourcing market. “Some clients they just need help on the personal side, some on the business side and some need help on both,” said Marwaha. “We have executives who use a personal assistant to do day-to-day jobs likes booking travel, arranging their calendar, making reservations for dinner, ordering groceries online, researching for the television they need to buy. Like most entrepreneurs I’ve met, on a typical day I spend way too much time doing a range of tasks that I shouldn’t. While it’s important stuff–following up on networking leads, contacting people I’ve met at my workshops or cold calling speaking resources–these critical to-do’s were getting out of control, and my office piles were starting to spill out onto my dining room table. So the timing could not have been better when I got this assignment. With a budget of $100, I set out to find and hire at least two different virtual assistants (VAs), to help me gain control of the burgeoning piles. I approached this like any other time-challenged business owner; I wanted to retain someone with an established track record, at a fair rate. I have a decent amount of experience hiring independent contractors, so I started off with high expectations, despite a tight turnaround time. I got a lead on DoMyStuff.com, and three minutes after choosing a password and security question, I posted my project. Nine minutes later, I got an e-mail confirming my task listing; 32 minutes from signing on, I got my first bid. I also received an ominous “warning”–a post on my thread that advised me to check out the site’s blog. The drama that unfolded was like a bad “B” movie with two people having an online catfight, debating whether someone had made false claims about expertise or credentials. I closed that box and went back to work, intermittently responding to the one person who made a bid. She charged $25 an hour, with a five-hour minimum–and advised me that my project would take her 12 hours–way above my $100 budget. 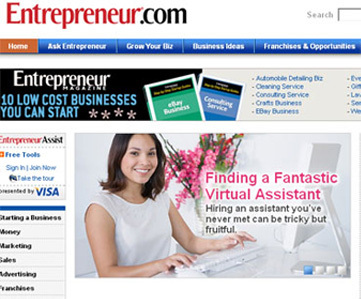 Going back to the drawing board, I reworked my proposal to cover just 35 business cards, and because I’m not a “put-your-eggs-in-one-basket” type of gal, I also decided to Google “Virtual Assistants.” Up to 736,000 sites popped up, and I chose TasksEveryday.com, an India-based company that advertised an hourly rate of $6.98! What’s the saying, if it sounds too good to be true, it usually is? That was the case here. Yes, they offer that rate and were quite professional, with speedy follow-up to my query. The catch: You can only get that rate (which buys you a suite of services and your own dedicated personal assistant) if you prepay and sign up for a 160-hour package. Since their lowest-priced package was for 40 hours–though still a bargain at $9.98 an hour–I had to pass on this choice for now. That’s right – dating in New York has become such a soul-numbing chore that I’m outsourcing my love life to India. Sure, most people hire virtual assistants for tasks like booking flights or scheduling orthodontics (just this past year, according to the International Virtual Assistants Association, membership is up 35 percent), but I’m hiring one for what I really need help with: finding love. In the spirit of “The 4-Hour Workweek” (“The 4-Hour Dateweek,” anyone? ), I hire teams from GetFriday.com, AskSunday.com and TasksEveryday.com, all based in India. Their mission? Identify eligible bachelors, compile extensive romantic research and find my soul mate. By the close of business Friday. EVER thought life would be easier if someone rang you each day to wake you up, turn on the radio and tell you how the weather’s looking? What if someone could buy underwear online on your behalf or read bedtime stories to the kids over the phone? It may sound bizarre, but these are the tasks an Indian company, GetFriday, says it can do for you from across the Indian Ocean. The company, which started up in 2005 in Bangalore and says it has 1200 clients, is one of many that can organise your life by outsourcing from a call centre. You sign up, choose a monthly plan or to pay as you go and then phone or email details of anything that needs doing. According to its website, GetFriday’s most common tasks include making appointments, paying bills, doing taxes and planning travel. It also schedules interviews and meetings, transcribes voicemail and proofreads documents. It will make appointments with doctors and theatre reservations, even send invitations to your dinner parties. It can also handle some of the tasks you may want to avoid, such as talking to your parents or apologising to a spouse, although the website says its capacity for spousal relations is “minimal”. The company says it has reminded “an over-zealous client to not speed … and [to] pay his current parking fines” and, for a client’s son, has researched how to tie a shoelace from a child’s point of view. Indian virtual assistant company, Tasks Everyday, says its accountants, lawyers, researchers, software professionals and experts in management, engineering and health care will carry out tasks at any time of the day or night. According to its website, the Mumbai company’s virtual assistants are university graduates who “speak good English and have clear and neutral accents”. 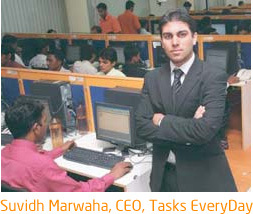 Suvidh Marwaha, sales director for Tasks EveryDay, which is based in India, says his company charges $6.98 per hour for a basic assistant who’s earned a bachelor’s degree. If you want someone “smarter” (someone with an advanced degree, Marwaha explains), it’ll cost you $14 per hour. According to Suvidh Marwaha, about 40 percent of Tasks EveryDay’s clients are seeking help with their personal to-do lists. Among the more common requests: Ordering supplies, groceries, online shopping, comparing prices and planning vacations. As president of the Long Island chapter of the Society for Human Resource Management, Doug Silverman doesn’t have an office, nor does he have a secretary, a fax machine, a computer or even a drinking fountain. Even so, he’s still able to send out mass mailings, coordinate monthly dinner parties, update lists and keep his nearly 1,200 members up to speed on what’s going on, despite having a full-time job that has nothing to do with the organization. He acknowledges it would be impossible without Linda Selden, his “virtual” personal assistant. If you always wanted a personal assistant but either didn’t have the bucks or the chutzpah to get one, finally here’s someone you can afford to boss around – a virtual personal assistant. A virtual assistant, whether hired for personal, small business or corporate office use, is someone you’ll probably never meet face-to-face. For as little as $7 per hour, they’re usually hired to perform tasks that can be carried out from a remote location using the phone, fax or computer. Planning a destination wedding and need to research hotels in a hurry? You can get a virtual concierge to book rooms, map travel plans, find vendors and tell you the best place to get a spa treatment to boot. They’ll even do all that for your guests, too, if you’d like – after all, it’s your dime. Hate paying bills? Get a virtual bookkeeper and turn that time-killer over to him or her. If you’re preparing to move and need to know the primo preschools in your new neighborhood for your prodigy, a virtual assistant can do that, too. Not surprisingly, most virtual assistants live in other countries and work for companies that specialize in outsourcing. “A virtual assistant could research electricians in your area, then set up the appointment and tell you when to be home,” Marwaha says. If the client wants a call from the virtual assistant when the electrician’s a half-hour away, that can be done, too. In the United States, virtual personal assistants are more often freelance entrepreneurs who charge $45 to $75 an hour for their expertise.